Pros: Knowing humour and real escapism in two 50-minute sessions, all by just one actor working his socks off. Cons: Some dialogue is too fast, and the venue is, as usual at the Fringe, stifling. Two self-aware murder mysteries crammed with puns and clever dialogue. A must for fans of Agatha Christie, P.G. Wodehouse and Dorothy L. Sayers. One of last year’s Edinburgh Festival Fringe hits, A Charlie Montague Mystery: The Game’s a Foot, Try the Fish, returns triumphantly for 2017 – along with a second adventure for the titular detective. Each play involves a decent list of characters, but only one actor: the thoroughly entertaining Tom Taylor. 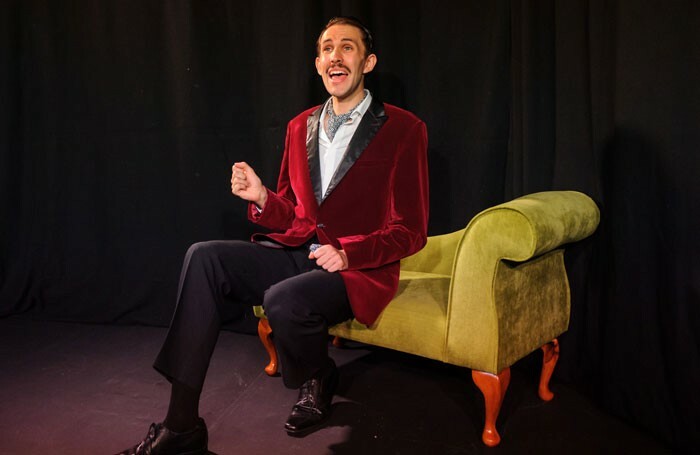 Whilst these Fringe shows are listed separately, with Montague sporting a different coloured velvet smoking jacket for each mystery, post-Fringe audiences will see back-to-back shows during a UK tour, so we decided to review them as a pair. If you see just one at the Fringe, you do yourself a disservice. The Game’s a Foot involves box-fresh private detective Charlie Montague, a cross between Poirot and a Wodehousian figure, assigned to solve the murder of a film star, Rex Hamilton, in a locked room. Cue typical murder mystery fodder: an obese Major, a sensitive upper-class wife, inheritance issues, plus all characters rounded up for the final reveal. But some of the play’s anecdotes are far from the world of Agatha Christie – how about fire-jumping pigs at village fêtes? The humour is always accessible, relying on puns and wordplay. Like all great mysteries, little clues are drip-fed along the way; seemingly throwaway lines in the script that turn out to be significant. This is even truer in The Man with the Twisted Hip, which relishes in skewering pretentious modern art galleries. When a gallery owner, and friend of Montague, is found murdered, the detective springs into action. Taylor often apologises for the accents used to define certain characters (case in point: ‘Do I sound concussed? Well, it sort of depends which character I’m playing…’), but they’re part of the charm. Just playing several characters in each piece, and alternating between them, is impressive enough. It might help if Taylor slowed down during the wordier parts, but occasional errors bring inadvertent comedy gold. 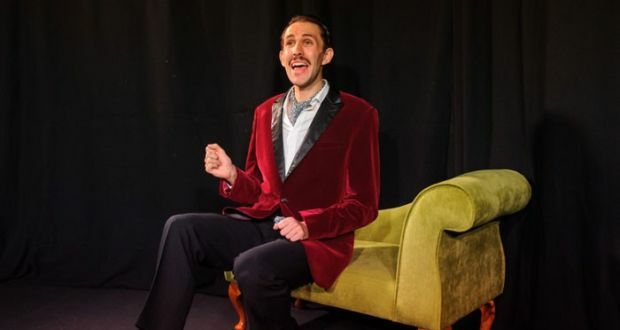 During a tricky line in The Game’s a Foot, he leaves the stage to bring on ‘the understudy’ (Taylor again, eliciting more laughs); when a woman in the audience had a small coughing fit, he ad-libbed, still in character: ‘Goodness, madam, are you alright? That sounds like TB. Have you let a badger in?’. Both scripts are littered with self-deprecating references to the production budget, but the humour and verve compensate for the sparse set design. In The Game’s a Foot, Montague says ‘inside the hotel room, it was carnage’. But with only a chaise longue to hand, Taylor just turns the furniture on its side. You don’t need a big budget to make that funny. Charlie Montague might be a new detective, but his vintage appeal and the self-aware nature of both productions under Taylor’s unwavering enthusiasm make these mysteries instant classics. Polly Allen is a freelance lifestyle journalist based in Sussex, but often found in London. Her earliest memory of theatre was a Postman Pat stage show; she's since progressed to enjoying drama, comedy and musicals without children's TV themes. Her favourite plays include Hangmen by Martin McDonagh, and A Woman Killed with Kindness by Thomas Heywood.